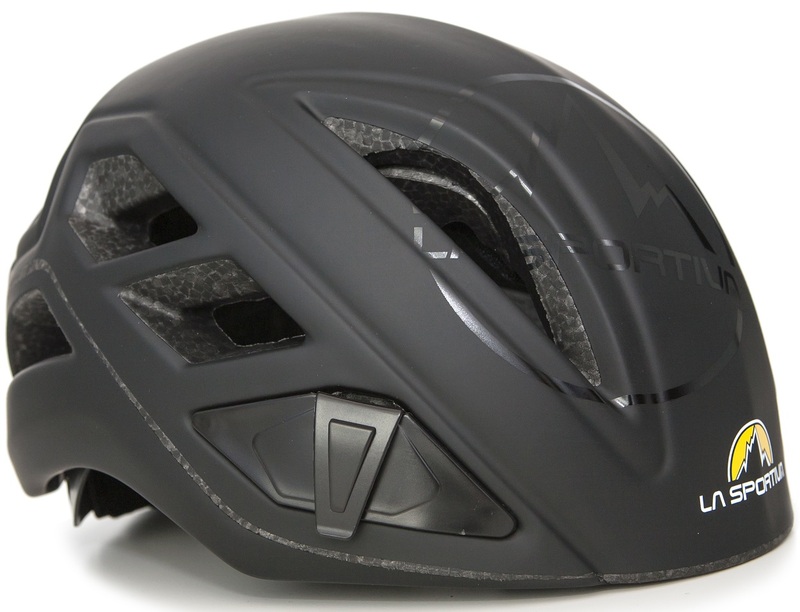 The Mulaz is a sleek-looking ski mountaineering helmet from La Sportiva. It’s constructed with a fairly standard layering system for mountaineering helmets: expanded polystyrene foam surrounded by a polycarbonate shell to reduce friction in an impact. This mold with the Sportiva logo is lightweight and well-ventilated so you can feel free to ascend fast. Of course it features headlamp clips so you can start your adventures at a safe time of the night/morning. It also has a comfortable adjustment system for lashing the protection to your skull. The La Sportiva Mulaz helmet is a new look for a proven design. Certified to EN 12492 & UIAA standards for mountaineering. Adjustable size system fits most types of heads, cute and ugly. Head Lamp clips secure a light source on the front and back. Numerous vents and lightweight design are speed-approved. Can you remove the plastic pieces that the front headlamp clips are on? Like, are there additional vents under there? The plastic pieces for the headlamp are not removable, and there are no holes underneath. But it vents pretty well as is!